They look great! What do you plan to do with the bases - they look a bit odd at the moment. 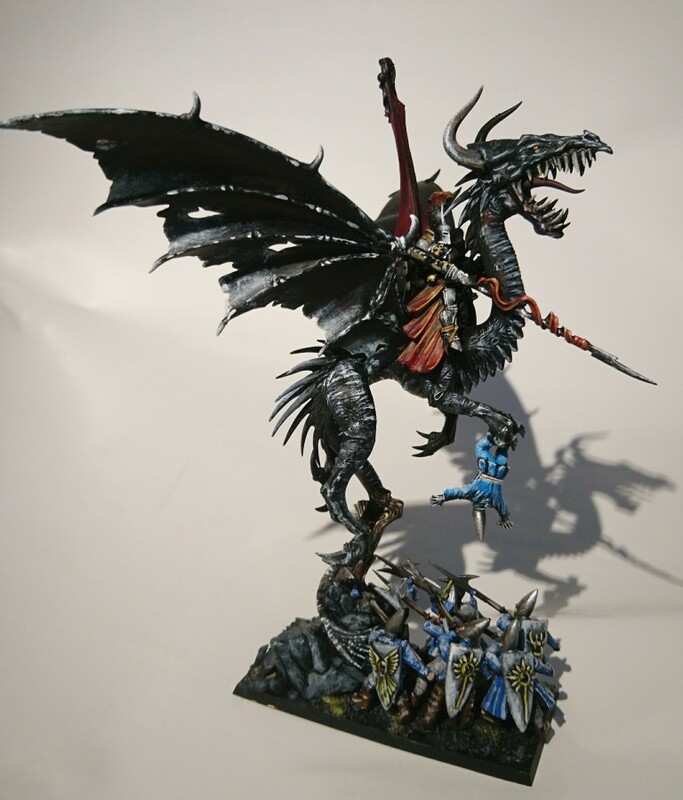 I could not resist to flavour up the base with some traitors from Ulthuan in this hopeless situation that they all will be eaten by the Dragon I hope it gives the model some extra character and Lord Drakon some extra swag. Love how it looks like he is sitting there totally oblivious to the the minor threat below. What is your take on those high elves. I now painted them as quickly as I could to get it done, do you think they need some extra care or not needed? They look ok to me. A closer shot of them would be good to look at if you have one. I accidentally posted this in your battle reports thread, whoops! I'll ask here instead. I love the skin/flesh effect on your witch elves, can you give me a quick guide of colors/techniques used? I would like to try it myself! That's OK! Thanks for the update, I look forward to the recipe. 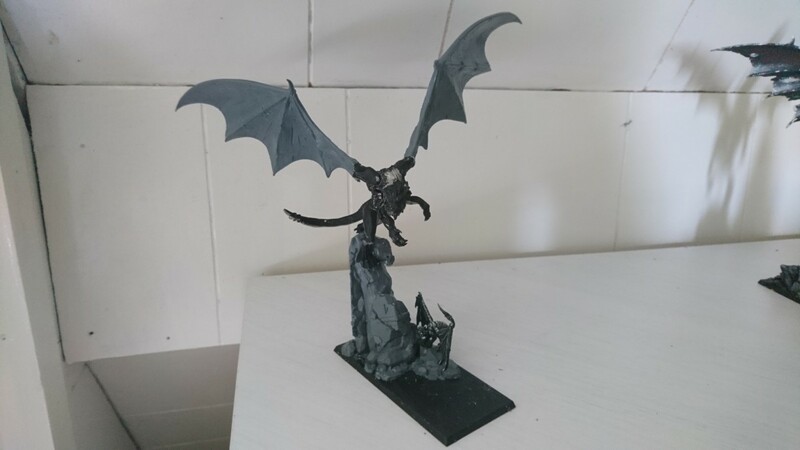 Working on a new BSB on a mighty Manticore that can cause terror in my opponents heart together with the dragon! Crazy epic. Good job. What colours do you plan for that beastie? Thank you! Cult also did something similar I found on google with his Hellebron, would love to see his end result. I do have two manticores and will field them both, so its very likely I will upgrade the other one also within the next months. Imagine playing with three dragon models at once! Lovely stuff, that dragon is brilliant and can't wait to see what you do with the Manticore. LD - you have a good memory! I have a baby manticore so one idea is to build the baby nest on the base with some human leftovers, this will take some more time and creativity however. The second option is a questing knight that charges the manticore just seconds before the epic clash. Third would be both, but I think it becomes too much / crowded then. Now question to you, what do you want first? Baby manticore nest or questing knight in epic fight? Baby manticore nest - sounds interesting and have not seen something like this before. Oke nest it will be, I just saw the newest Game of Thrones episode, wow that was epic! I cant wait to field my own dragon and manticores roaming the battlefield again!